The United Kingdom Telecommunications Academy (UKTA) started implementing Master’s degree programmes in Rwanda in 2005 and Tanzania in 2009. To date, more than 200 students have benefited from our work in Africa. Although we have had participants from Nigeria, Zambia, Kenya, Tanzania, Burundi, Malawi, Uganda and Sudan, our challenge is to achieve an even wider reach. UKTA has also offered training courses to delegates from some 180 countries. In the upcoming academic year, UKTA professors will deliver two new programmes based on our on‑line teaching experience. Our on‑line Master of Laws in Information Technology and Telecommunications (eLLM in IT & T) continues to go from strength to strength, and is now being supported by our new associate member, the University of Southampton. UKTA professors will be offering at least one eLLM in IT & T scholarship for Africa at the University of Southampton in the coming year. The value of the on‑line scholarship will be USD 12 000. Although a United Kingdom qualification from such a prestigious university is much sought after, UKTA is keenly aware of the cost constraints that students face. Our partner in Tanzania, the Open University, is always eager to pass on savings to the students. The new eLLM programme at the Open University of Tanzania will save students an estimated 40 per cent of current costs if they study the whole programme on line. In September 2012, UKTA will offer at least three modules on line, together with three modules by blended learning as at present. On‑line modules will each cost USD 500, while blended modules will each cost USD 1000. The supervision and assessment of the final dissertation will cost USD 1000 irrespective of the mode of study. Learning content for the eLLM modules will be hosted on Moodle (an open source course management system) at the Open University Campus in Dar es Salaam, but for those with poor Internet connectivity the content will be supplied — on registration for each module — on a compact disk. The purpose of making the content modular is to spread the cost over the time that an individual is studying for the degree. UKTA is already committed to supporting transfer of knowledge to Tanzania until at least 2015. By using on‑line supervision from the United Kingdom, this transfer of knowledge can continue beyond 2015 and be extended to achieve the wider reach that we seek. To encourage more least developed countries to strengthen their legal departments, UKTA will award two on‑line scholarships for the new eLLM in IT & T programme at the Open University of Tanzania, which will commence in September 2012. We have now seen seven cohorts of students complete the Master of Communications Management (MCM) at Kigali Institute of Science and Technology, and we have also now developed a Master of Science in Operational Communications, as a sister programme using five common modules. Over the past seven years, many students have asked how they can achieve a United Kingdom Master’s Degree at a reasonable cost. This has been our challenge. When we started the MCM in 2000 we had ten modules each worth 12 credits, giving a total of 120 credits. This allowed students to achieve a post-graduate diploma. If students continued to study, by writing a 20 000‑word thesis they could obtain a further 60 credits and be awarded a full United Kingdom level Master’s degree. In 2010, we remodelled the MCM, in conjunction with our then new member Bucks New University. 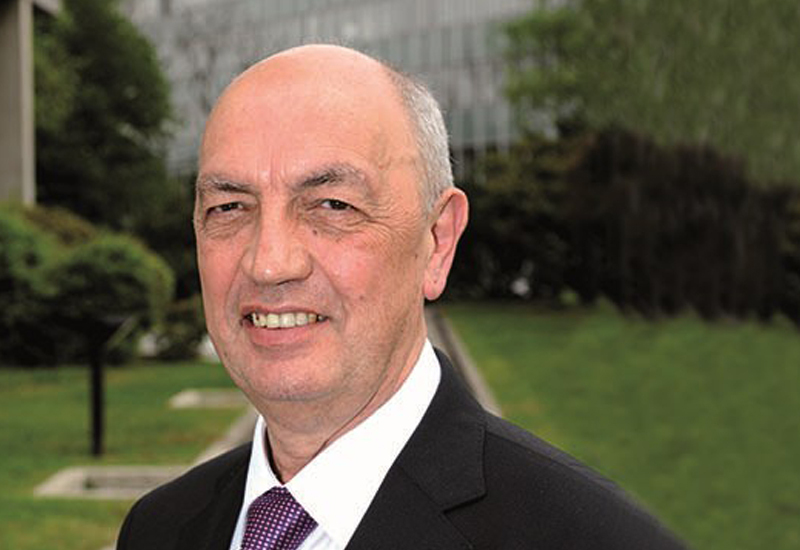 One of UKTA’s professors, Derek Godfrey, became Deputy Vice Chancellor of Bucks New University, bringing with him a commitment to helping the Academy realize its goal of high-quality degrees at a realistic cost. For the past three years, UKTA has been delivering a blended learning model of the MCM course at Great Missenden Abbey, which is less than an hour’s drive from London Heathrow. The model we adopted was based on four 30‑credit modules, followed by a dissertation of 20 000 words. The benefit of four modules was that it was realistic for students from countries such as Nigeria, Ghana, Zambia and of course the United Kingdom to participate in intensive study weekends at the start of each module. Although this arrangement reduced the price of academic study from USD 15 000 to USD 7500, that amount is still beyond the reach of many students if you have to add four return air fares from their home countries to the United Kingdom. Full board accommodation has been provided at USD 75 per night at Great Missenden Abbey, but this is still expensive for some individuals. So what does UKTA offer in 2013? The eMCM will be available from January 2013 in parallel with the MCM. All learning content, including lectures for the four modules, will be available on the Bucks New University Blackboard. For the MCM and eMCM, we will have the same professors supervising the content and answering your questions. The on‑line programme will be exclusive to UKTA, and discounts will be available for groups of five or ten students registering for the programme. For any students experiencing Internet download delays, the content can be made available on either flash or compact disk. We will continue to develop the student experience of on‑line learning as the programme progresses. But with the final reward of a full United Kingdom Master’s degree recognized by both UKTA and the ITU Telecommunication Development Sector (ITU–D), we are confident that many Africans will relish this opportunity to join the Academy and Bucks New University in this exciting adventure. We recognize that students may wish to spread the cost and time-frame over which they follow this programme, so we have allowed a three-year window to complete the study. Students can pay on a module-by-module basis, and start in January, April, July or October. Because the content of each module is completely separate from the content of the other modules, the modules can be combined in any order. The module that starts in January covers legal, regulatory, policy and environment matters. The topics of the April module are project management and risk analysis. In the July module, we focus on human capital development, and procurement of both technology and employees. In October, the focus is on business management and strategy. Students who complete and pass all four modules can submit a proposal for a topic of their choice that attempts to resolve a business challenge. To complete the Master’s degree, students must provide a critical analysis of the approved topic in a 20 000‑word dissertation. To kick-start this programme, UKTA is offering two fully funded scholarships, at a total value of USD 18 000 (USD 9000 per scholarship). UKTA sincerely hopes that students from least developed countries will welcome the opportunities described in this article. If you are interested in the University of Southampton eLLM, Bucks New University MCM or eMCM, the Kigali Institute of Science and Technology MCM or MOC, or the Open University of Tanzania LLM or eLLM, please visit our website at www.ukta.co.uk for further details. If you would like to apply for one of the scholarships mentioned above, then please write a short paper of not more than 500 words and forward it to chairman@ukta.co.uk for consideration. Successful applicants for the scholarships will be announced in August 2012.